LV Prasad Eye Institute (LVPEI) is a not-for-profit eye-care institution located across the states of Telangana, Andhra Pradesh and Odisha (with limited presence in Karnataka). 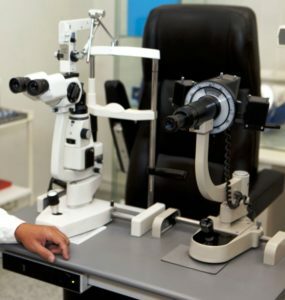 Established in 1987, it operates across all eye-care verticals: clinical services, education, research, rehabilitation and sight-enhancement services, eye bank and rural community outreach. The target beneficiaries are poor and underprivileged people in both rural and urban areas.The organisation has several institutions: a ‘Centre of Excellence’ in Hyderabad, 3 tertiary centres in Bhubaneswar, Visakhapatnam and Vijayawada, and 16 secondary and 157 primary care centres across the aforementioned four states. It is accredited by National Accreditation Board for Hospitals and Healthcare Providers, is a World Health Organization (WHO) Collaborating Centre for Prevention of Blindness, and a Global Resource Center for Vision 2020: The Right to Sight initiative. It is currently managed by two not-for-profit trusts: the Hyderabad Eye Institute (HEI) and the Hyderabad Eye Research Foundation (HERF). The list of founding organisations is a long one and includes Indo American Eye Care Society, Hyderabad Eye Institute, donors such as LV Prasad, corporates such as Microsoft and Sun Pharma, and NGOs like Seva Foundation and Tej Kohli Foundation. The list of ‘supporters, contributors and friends’ is even longer. The institute claims to have served over 23.8 million patients since its inception, with over half receiving services free of cost. It has performed 1.22 million surgeries, rehabilitated over 160,000 people with irreversible blindness or low vision, and trained over 19,000 eye-care professionals. The institute claims to have served over 23.8 million patients since its inception, with over half receiving services free of cost. It has performed 1.22 million surgeries, rehabilitated over 160,000 people with irreversible blindness or low vision, and trained over 19,000 eye-care professionals. In 2016–17, LVPEI recorded 1.3 million outpatient visits and nearly 134,000 surgeries across its network, out of which about 50 per cent was completely free of charge. Rural services accounted for nearly 600,000 visits and 32,253 surgical procedures. LVPEI’s vision is ‘to create excellent and equitable eye-care systems that reach all those in need’, and accordingly one of its stated principles is ‘patient first’. Its three core values, or the ‘three Es’, are equity, efficiency and excellence. Clinical: This is the eye healthcare service wherein LVPEI provides treatment for all kinds of eye diseases. It also has a special clinic for visually impaired children. A few examples of the services provided relate to cornea and anterior segment, LASIK and refractive laser surgeries, cataract surgeries, retina services, glaucoma procedures, contact lens services, and ophthalmic plastic surgeries. 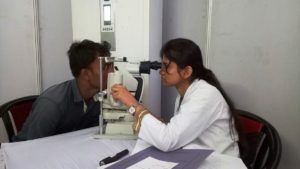 Community outreach: The Gullapalli Pratibha Rao International Centre for Advancement of Rural Eye Care (GPR-ICARE) is LVPEI’s community outreach programme and dedicated to extending eye-care services to the poor and the needy, especially those in rural areas. The public health outreach programme was set up in response to the results of an LVPEI survey (the Andhra Pradesh Eye Disease Study) conducted during 1995–99 which found that over 75 per cent of blindness (due to cataract, uncorrected refractive error and infection) is avoidable and curable. The programme is based on the LVPEI Eye Health Pyramid. The model works bottom up from primary eye-care centres that cater to a cluster of villages (currently there are 157 such centres), through a network of secondary care centres at the district level, which are then linked to city-based tertiary care eye centres (currently there are 3) providing the full range of services. An LVPEI Centre of Excellence sits at the top of this pyramid, offering advanced care for more complicated cases. GPR-ICARE focuses its activities on the primary and secondary centres, including infrastructure and personnel. With a view towards getting local support and ownership, people from the immediate community are trained as paramedical and community health workers. They are called vision guardians and are responsible for keeping track of the eye health of about 5,000 people through door-to-door surveys and other informal means. In the last FY, 292,000 outpatients and 32,000 surgeries were performed. Vision enhancement and rehabilitation: This part of their services is focused on ensuring the right rehabilitation for those with vision impairments. As with any disability, it is not enough to merely get the physical problem corrected; ensuring that they get the right kind of mental, psychological and economic support to navigate through society on their own and on their own terms is critical towards the long-term success of their rehabilitation. LVPEI’s services range from assessment and prescription of low-vision devices (such as magnifiers) to social and educational rehabilitation through skills training, education, vocational guidance and counselling. Low-vision rehabilitation is delivered through its pyramid model mentioned earlier. Where possible, the institute collaborates with community-based rehabilitation services as well. To date, more than 160,000 people have been positively impacted, with over 12,000 patients served in 2016–17. In the same year, it completed a three-year community-based, early-intervention rehabilitation programme implemented with the support of Sight First-Lions Club International Foundation in Adilabad, Telangana. This programme covered 18 villages and rehabilitated 1,733 people; vision aids were distributed and community screenings organised. One hopes that such initiatives can be scaled up and replicated across many more locations. Research and innovation: Hyderabad Eye Research Foundation (HERF) is the research arm of LVPEI and is recognised as a Scientific and Industrial Research Organisation (SIRO) by the government. The Brien Holden Eye Research Centre (BHERC) at LVPEI conducts research across a wide range of areas, from molecular genetics and stem cell biology to clinical research and vision physics. The Srujana Centre for Innovation, established in 2013, serves as the innovation centre for technology that can aid both clinical and research needs. The centre runs the LVPEI-MITRA Program in partnership with the Camera Culture Group for students to work on projects mentored by graduate students at the MIT Media Lab and clinical professionals at LVPEI. Some of the noteworthy innovations developed are the world’s first braille smartphone prototype, a device to develop prosthetic eyes within 24 hours, and another to detect eye diseases, such as cataract, instantaneously. Some of their products have been commercially released as well. Education: As a member of WHO’s Collaborating Centre for Prevention of Blindness, LVPEI has committed to invest in world-class education and training for eye-care professionals. Currently there are four campuses imparting such education. In 2013, the Academy of Eye Care Education was set up as the apex body to coordinate across all these centres. Since its inception, the institute has trained over 18,000 students from India and abroad in various programmes. It offers higher education in disciplines such as ophthalmology and optometry, as well as various allied eye-health trainings to vision technicians, ophthalmic assistants, nurses, etc. Apart from these services, the institute has helped upgrade eye-care centres in 18 states in the country, facilitated the formation of Eye Bank Association of India, and was a founder of Vision 2020 India. In 2016, it collaborated with Microsoft India on the Microsoft Intelligent Network for Eyecare (MINE), which is a global consortium of commercial, research and academic institutions working together to apply artificial intelligence in their mission to eliminate avoidable blindness and scale up the delivery of eye-care services worldwide. The institute has also partnered with organisations like USAID and Sun Pharma Grant to provide eye screening for an estimated 700,000 children. The Children’s Eye Care Centre (CECC) at LVPEI is a comprehensive children’s eye health centre, with state-of-the-art equipment for ophthalmologists to examine and treat children safely. Children are referred to this centre from all over the world. The institute uses multiple parameters to assess the progress made in its functional areas. In clinical work, metrics like patient feedback, outcome analysis and annual growth in patients are used, while for research, number of peer-reviewed publications, number of grants and recognitions are the defining parameters. Record audits are conducted and for rural health centres three levels of monitoring are done – technical, administrative and public health. Targets are set taking into account factors such as existing and projected demand, improvements in technology and availability of human resources. Benchmarking is mostly done with national institutions, and with international organisations on research-related areas. The LVPEI eye-care pyramid has been designed to ensure that in the long term external funding or expertise isn’t required for its sustenance – the ultimate goal being that the primary centres or vision centres will evolve into community hubs that provide a whole range of healthcare services, including eye care. Currently, 85–90 per cent of LVPEI’s operating expenses are serviced through the money generated by the paying patients (little less than 50 per cent of the total) – this, the institute believes, can be brought up to 100 per cent. Through grants and small profits being generated from research projects, there’s nearly 100 per cent cost recovery. For the future, LVPEI hopes that with a combination of more people being covered by health insurance, better regulations, demand for clinical trials (for which LVPEI is perfectly suited) by international organisations, higher research grants, savings through high-end engineering, and revenue generated from licensing and IP royalties of their innovative products, the institute’s delivery system will become self-sustaining. LVPEI’s ‘Next 25’ goals focus on expanding Institutes of Excellence (IoE) and primary eye care. The overarching objectives are to achieve universal eye health for their target population and help others in building capacity for the same. ‘The mission is to control all major forms of blindness and visual impairment through massive efforts and investments in prevention and treatment, impacting half of the world’s blind and visually impaired population (especially in developing countries), through direct interventions or indirect support,’ Dr Rao explains. This, in turn, means increasing the capacity of LVPEI to tackle eye problems, addressing the demands for human resource development in this field, supporting the capacity-building efforts of other eye-care organisations, and improving the quality of care and education about eye problems in medical colleges and optometry schools. Development of Institutes of Excellence: The intent here is to create global resource centres for blindness and visual impairment, with a focus on developing countries. These will encompass all seven fields that LVPEI is already known for (clinical, research, education, etc.). Accordingly, the first couple of years were dedicated in consolidating existing networks in its tertiary campuses so that 6 to 10 regional centres of excellence could be developed for capacity building. The third phase is to collaborate with 10 to 12 international partners. This will form the network of eye centres spread globally. LVPEI has already made headway on this. For instance, the Cornea Institute already has 8 national and 6 international partners. Some of the IoEs are Academy for Eye Care Education, Child Sight Institute, Institute for Eye Care for the Elderly, Institute for Eye Cancer, and Centre of Excellence in Eye Banking. Develop a robust model of primary eye-care delivery: This will be implemented in the three main states where LVPEI operates. The main objective is to design a high-quality, workable, bottom-of-the-pyramid delivery model that works for its target population of 150 million, especially taking into account the constraints faced by those in the remotest areas of the region. The plan is to work with other organisations including the government, so that a strong foundation can be built in the next two to three years. LVPEI will act as a training and resource centre in this network. The institute has already developed and successfully implemented a concept of primary eye care based on the principle of high-quality comprehensive care. This service is provided by high-school graduates with one-year training in optometry; they are identified as vision technicians. Other future plans include distance education programmes through technology; expanding the range of research areas like delving into complete cornea regeneration, biosynthetic procedures, etc. ; technology innovations that can be accessible to the poor; and technology transfer from other organisations so that the benefits can be made available to the underprivileged sections. For example, contact lens that correct complex errors usually cost about $4,000, which is prohibitively expensive; LVPEI hopes to make them considerably cheaper for the poor and the needy. The institute doesn’t plan to expand beyond the four states where it currently has a presence. However, the team will be mentoring and forming technical partnerships with organisations in other states. Frequent collaborations with international institutions across the globe are expected. LVPEI’s work on eye care in the country has been exemplary and worth emulating. Especially encouraging is the free services provided to the poor and the underprivileged in rural areas that often remain untouched and ignored by quality healthcare service providers (of course, in any semi-functioning democracy there should be a state-run health service that actually works but that’s another story). The challenge for the institute now is to scale up in a sustainable manner. Expanding its reach—through partnerships—to the neglected areas of the country such as the northeast could be life-changing for thousands of people. While the institute is aware of the need to make its ‘pyramid model’ delivery system self-sustaining and holistic, this requires more careful long-term planning than what currently seems to be the case. One of the many ways to facilitate this, as identified by them, is to mentor, partner and assist other organisations in capacity building as well as funding efforts. Data on employee rights, gender diversity and detailed financial disclosures will also go a long way in establishing their commitment to transparency and accountability. The challenge for the institute now is to scale up in a sustainable manner. Expanding its reach—through partnerships—to the neglected areas of the country such as the northeast could be life-changing for thousands of people. While the institute is aware of the need to make its ‘pyramid model’ delivery system self-sustaining and holistic, this requires more careful long-term planning than what currently seems to be the case. A key area where data and efforts are missing is sustainability. For an institute that is comparable with the best in the world, there doesn’t seem to be much that is being done to reduce environmental impact. Green initiatives and reducing carbon emissions have become necessary conditions to any organisation’s existence (as it should be). LVPEI would do well to take note and act accordingly. Currently, the institute has started setting up solar rooftop power systems in a phased manner in some of its secondary and tertiary centres. The plan is to cover around half of its locations in this financial year and the rest early next year. With its decades of invaluable experience and donor networks, LVPEI is in the perfect position to make eye care a reality for millions of Indians. One can only hope that its ambitious goals are realised, sooner rather than later. Previous ArticleIndiGo: Flying high, aiming low?